We P.G. 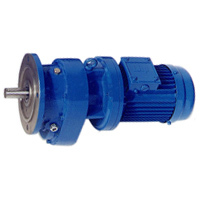 Drive are Manufacturers, Exporters & Leading Suppliers of Helical Inline Gearboxes Located in Mumbai, India. • 3 Decades of field experience in textile, pharmaceuticals, chemical, cement, sugar, plastics, rubber & allied industry. • More than 10000 + inline helical gearboxes in operation in the industry. 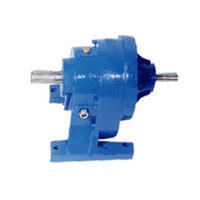 P.G.Drive manufactures “P” Series Inline Helical Gear reducers and Geared Motors. These units are available in Foot, Flange and Co-axial type construction. The gear reducers available are suitable for mounting any standard IEC frame electric motor in B5 construction. The product range offers low installation cost, low noise operation, high efficiency and balanced performance. 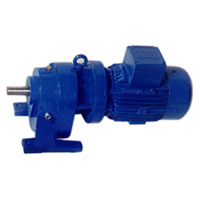 • Foot mounted gear reducers & gear motors. The lower output RPM range is offered by multistage combination gear units up to 0.1 RPM.